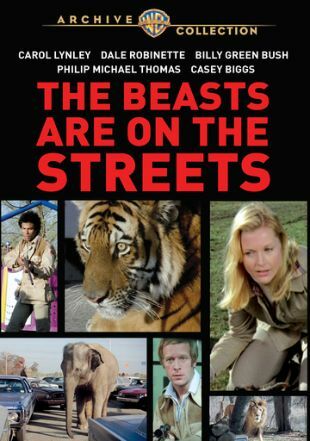 The cartoon firm of Hanna-Barbera produced the live-action TV movie The Beasts are On the Streets. No, the beasts aren't Yogi Bear, Snagglepuss and Scooby-Doo, but instead a contingent of dangerous jungle animals. A tanker truck has smashed through the fence at a Texas game preserve, releasing the beasts upon a screaming and scrambling populace. Zoologist Carol Lynley tries to predict where the animals are most likely to strike-and strike they do, 'cause they're smarter than the av-er-age beasts. Filmed on location in Grand Prairie, Texas, The Beasts are On The Streets was first telecast May 18, 1978.